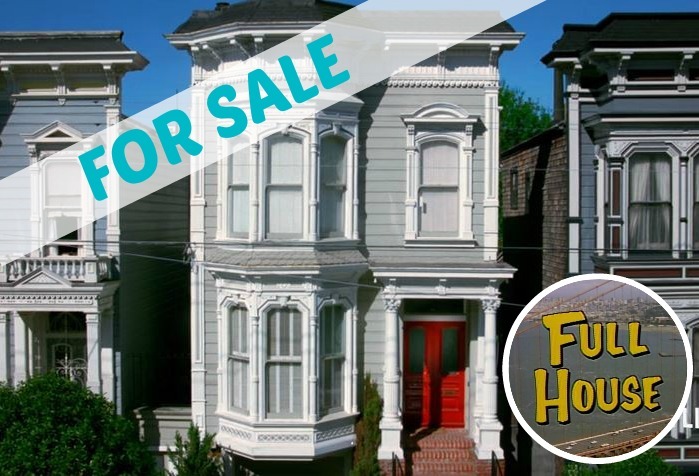 Everywhere you look, people are talking about the classic family sitcom “Full House,” even though the show’s final episode aired in 1995. 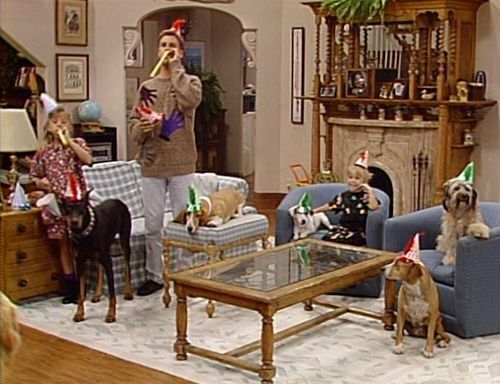 There was an “Unauthorized Full House Story” on Lifetime, and a reboot called “Fuller House” is in the works. So let’s take a look back at the famous Tanner Victorian in San Francisco and then see how different it looks like today! 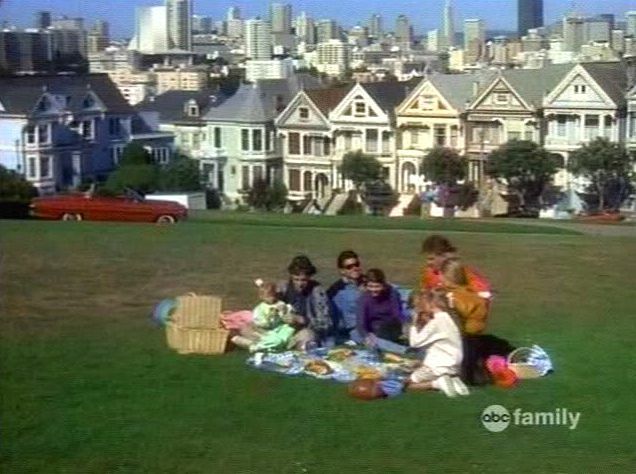 The house used for exterior shots is not one of the seven “Painted Ladies” that make up the colorful row of Victorian houses shown behind them when the Tanner family picnics at Alamo Square Park. A lot of fans go looking for it in the Western Addition neighborhood, but it’s actually more than 12 blocks away on Broderick Street. 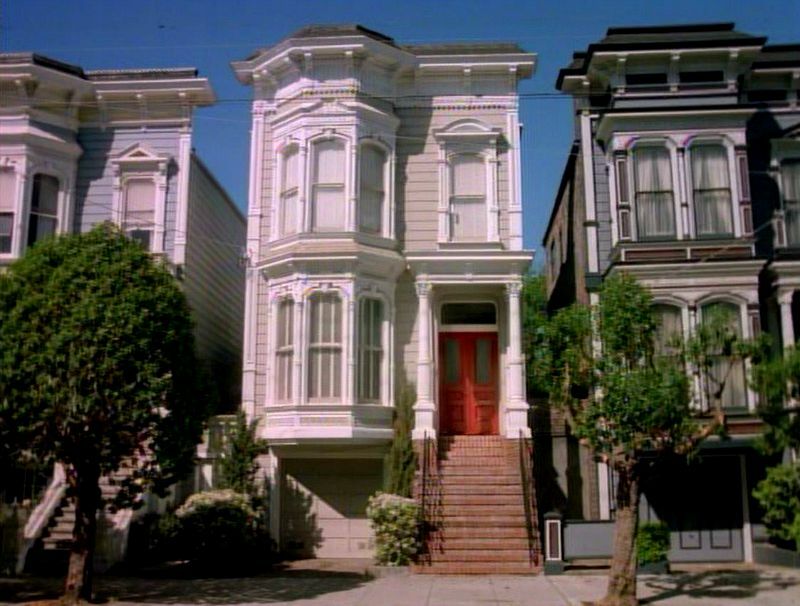 The establishing shots for the opening credits were taped in one day in San Francisco. 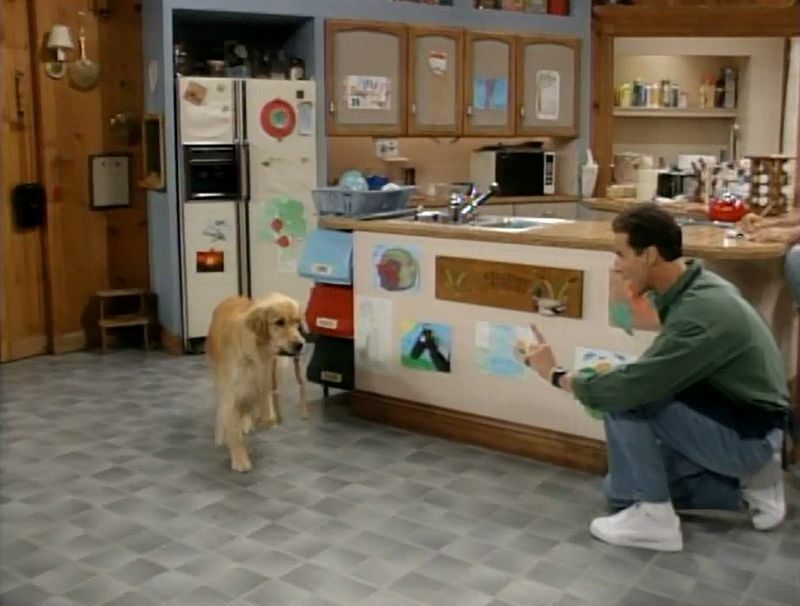 After that, I believe the only time they were actually filming on location was for an episode in the final season when Michelle tries to walk Comet by herself and he gets away from her. On the show they say their address is 1882 Girard Street. I searched on Google maps but couldn’t find an address that high on Girard, so I’m guessing it was made up. If anyone knows differently, fill us in! Ever wonder what’s across the street from their house? Apartments! 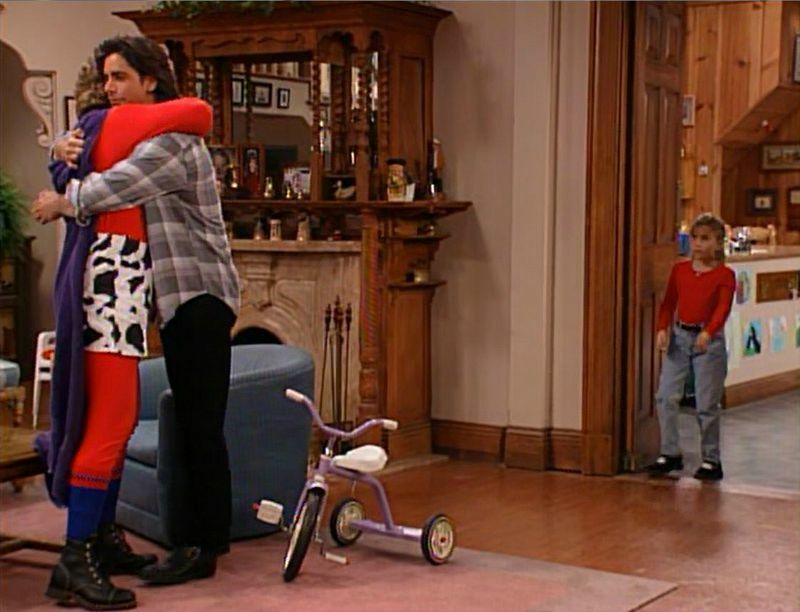 Can you imagine being the guy who was almost famous as the Tanner dad, only to get a call saying your role had been recast after the pilot was taped and picked up by the network? They have the original pilot on the Season One DVD, and it’s fun to watch both versions — with the original Danny, played by John Posey, and then with Bob Saget, who was hired at the last minute to replace him. Posey did a good job, but it’s just not the same. 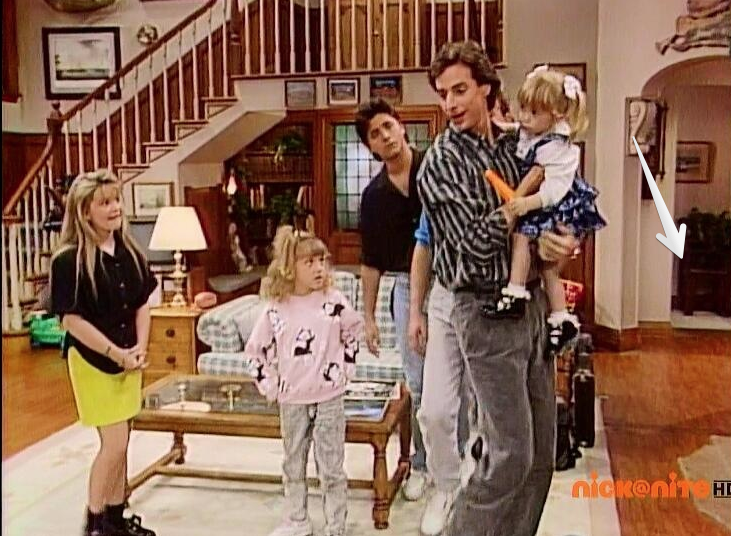 I’m not sure “Full House” would’ve have become such a cult favorite without Saget. Look at all those silk plants they decorated the upstairs landing with. Takes me back to the ’90s when we were all putting fake ivy everywhere! 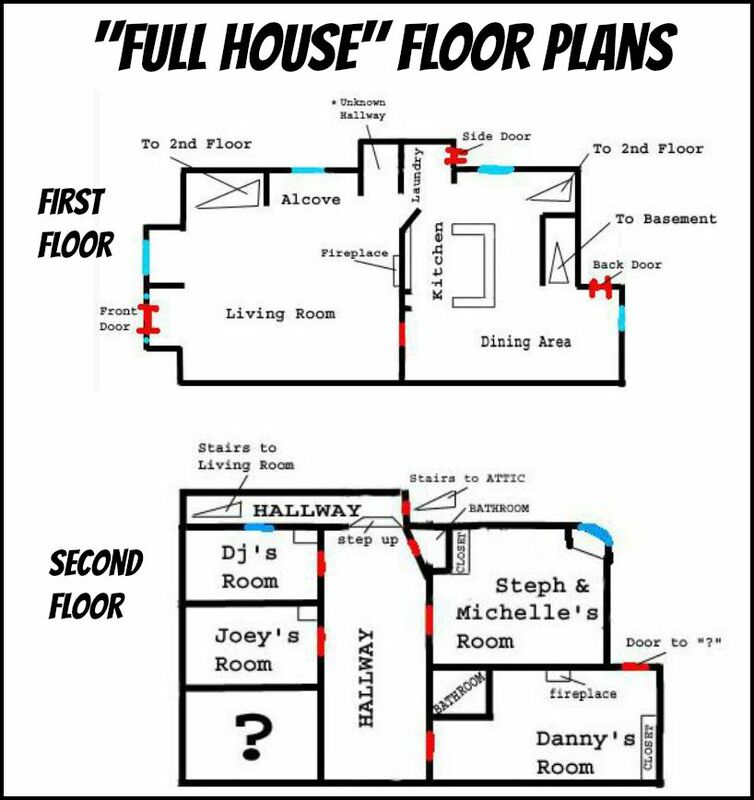 I found these floor plans posted by an uncredited fan on a message board. He/she noted that they were just a “rough draft,” but it helps to visualize how everything in the house connects. 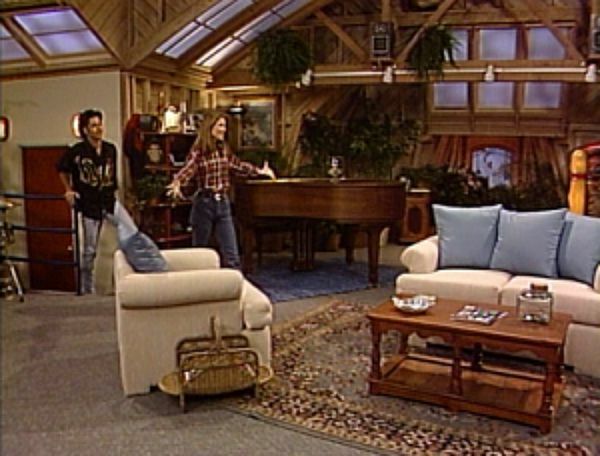 Not much had changed since the pilot, although you’ll notice the fabric is slightly different on the sofa and the second sofa that originally faced it was replaced with two blue barrel chairs. 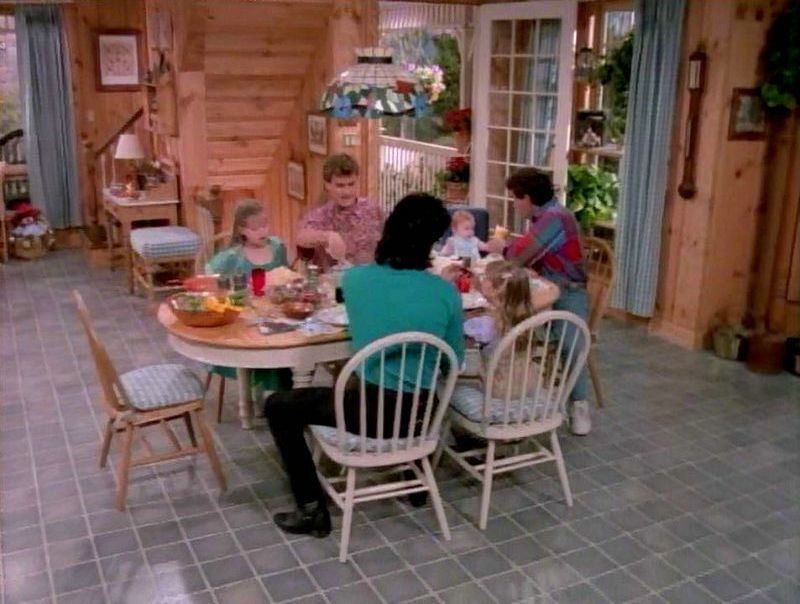 It doesn’t seem like much seating for a family this size, does it? 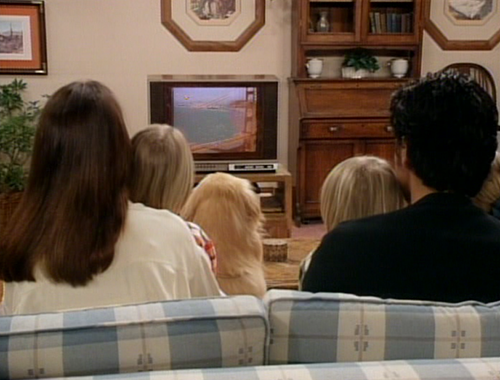 They were watching the opening credits of their own show! So meta. 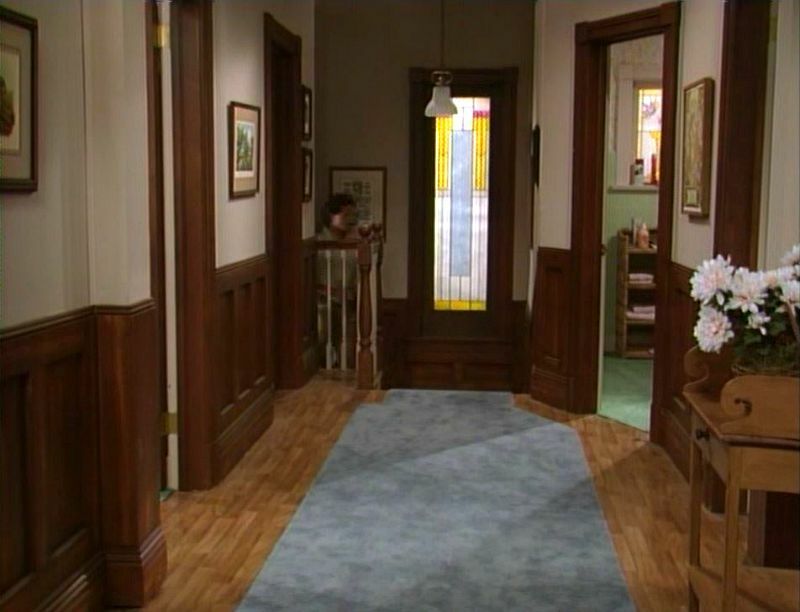 As the blog WTFFH points out, the hallway behind the living room changes from time to time. Sometimes it looks like it might be the stairs to the basement with that baby gate guarding it. In the first season, the cabinets were different and they hadn’t started using the kids’ artwork to decorate them with yet. 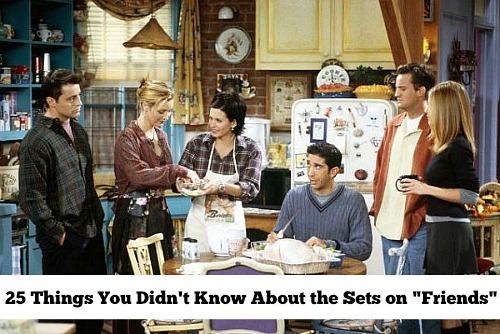 Did you know they later filmed the sitcom “Friends” on this same soundstage? The basement had an infinite amount of space like the attic, apparently. 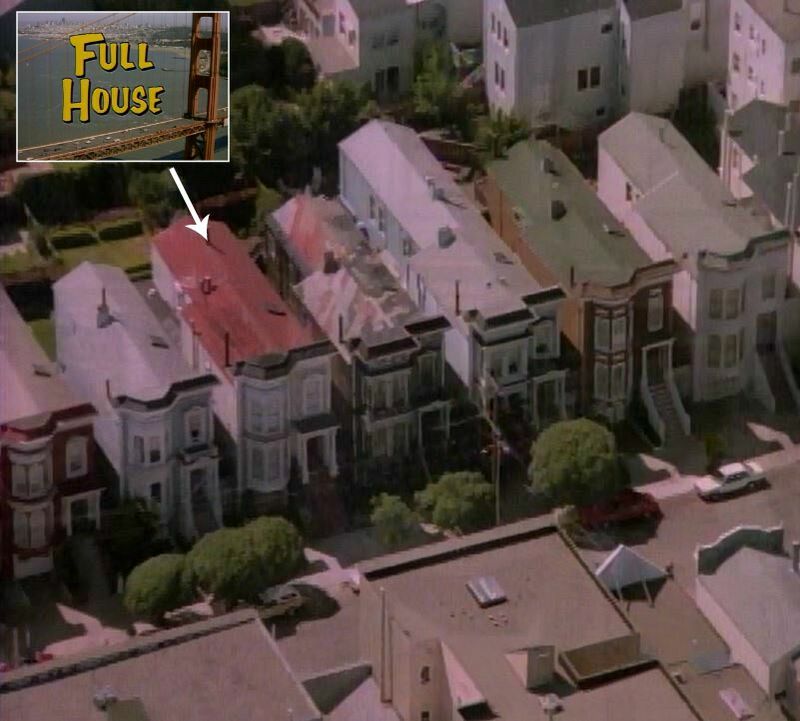 Over the years we saw a garage, Joey’s room, and Jesse’s studio down there. 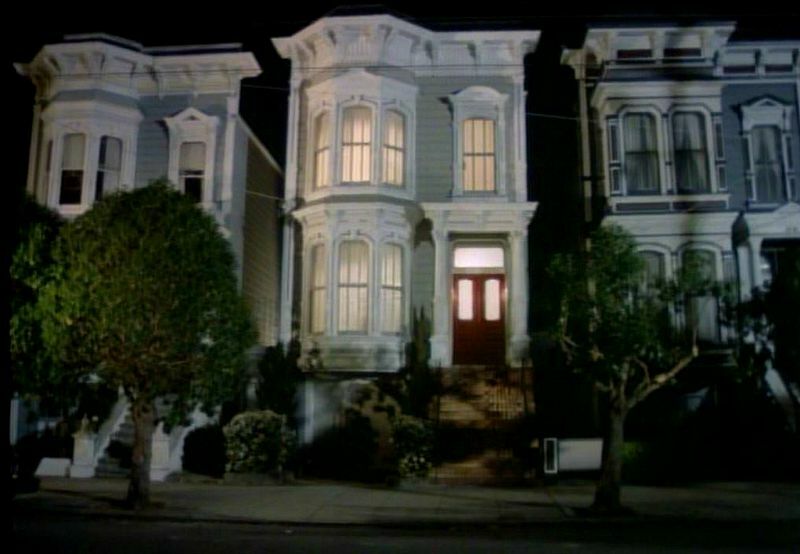 But Now the “Full House” Victorian is . . . Purple? An outraged fan reported that it was painted a dark purple with pale green doors, so I looked it up on Google Streetview. Sure enough, this is what it looked like as of early 2015. The homeowners must be really tired of all the tourists stopping by to snap pics of the house each day because they put up a gate with a “No Trespassing” sign and planted a big tree in front of the bay window, too. With the new eggplant paint, it renders it almost unrecognizable from the Victorian onscreen. What do you think of its new look? 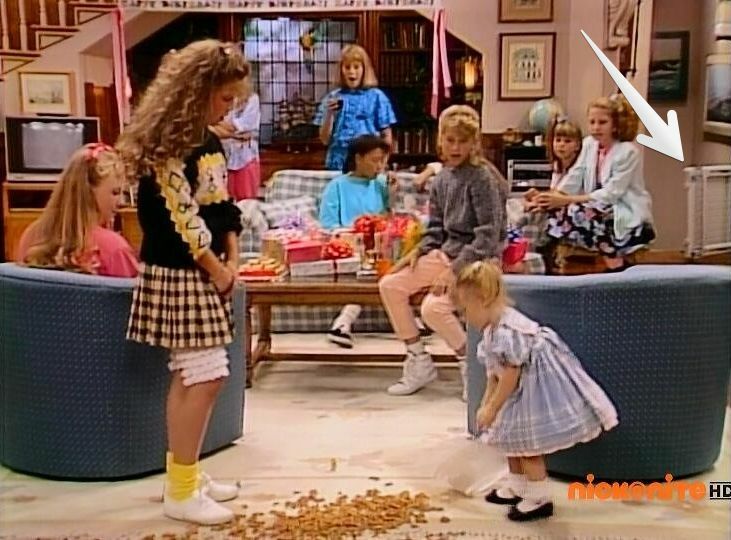 BTW, did you watch the “Unauthorized Full House Story” on Lifetime? 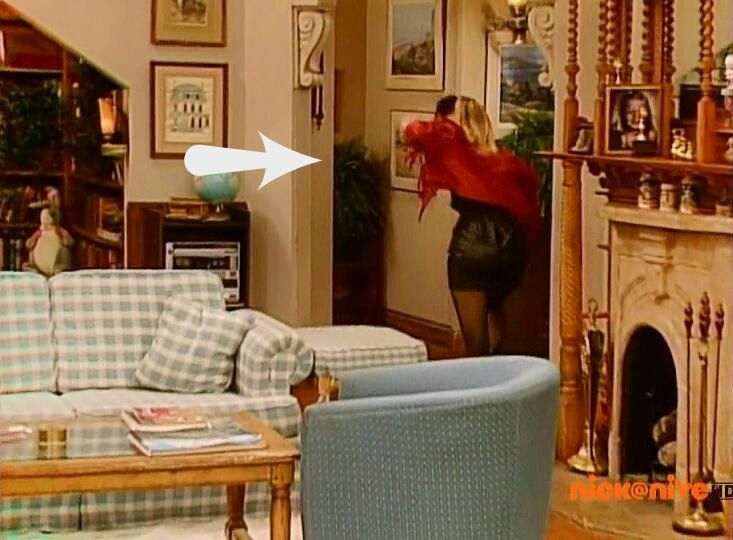 Did it totally throw you when the replicated “Full House” set looked nothing like the original? 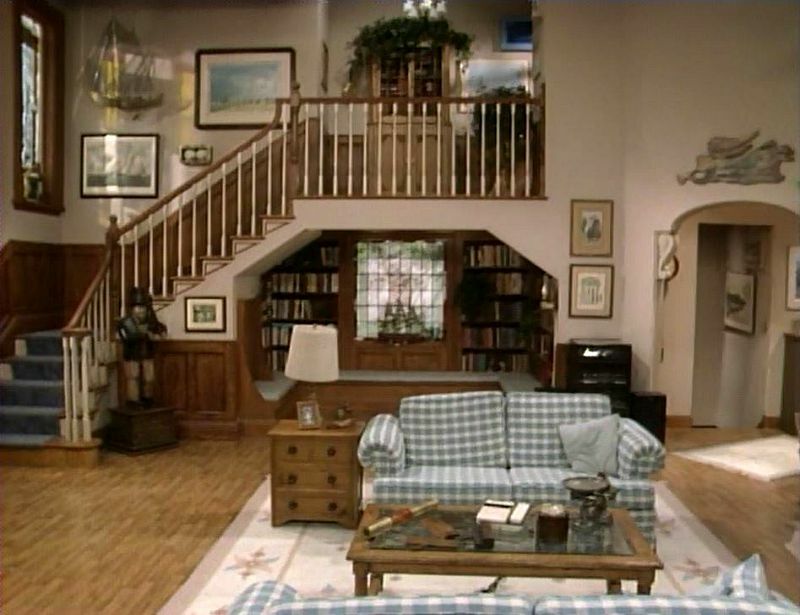 I mean, how hard is it to at least get a plaid sofa in there and put the stairs on the left instead of the right? As Stephanie would say, how rude. 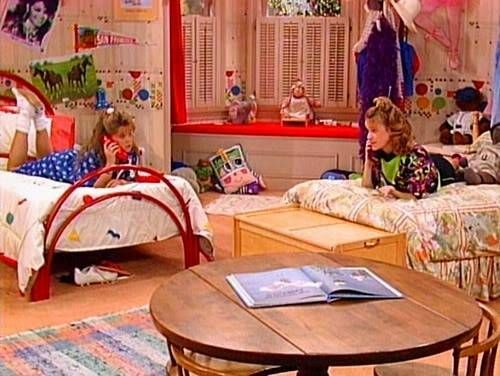 Were you a “Full House” fan? 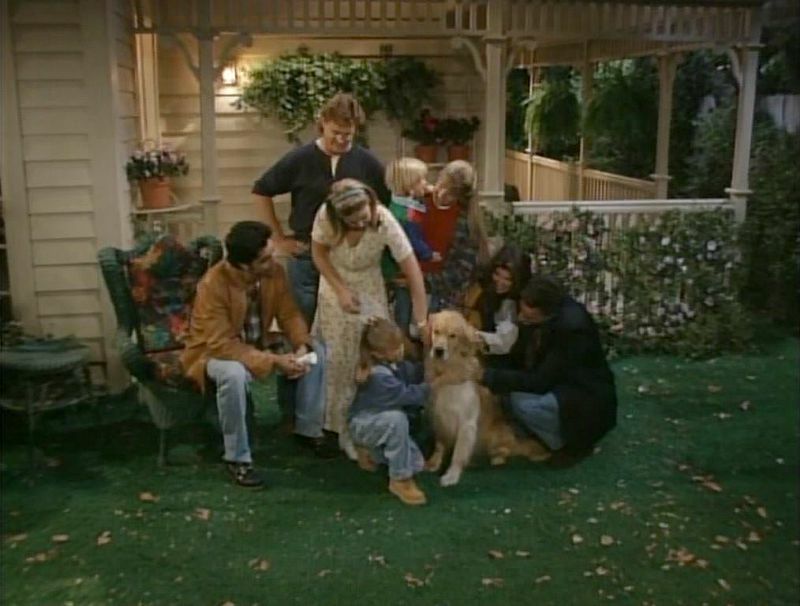 “Fuller House” promises to reunite most of the castmates except the Olsen twins. Candace Cameron Bure’s D.J. is now a young widow who calls on her best-friend Kimmy and sister Stephanie to help raise her children. I. LOVE the new look of the Victorian. The paint job has given it a lot more Character without being gaudy. The original was nice too but, the paint job didn’t give as much interest.. Looking at the old and new side by side, I could’ help but feel more curious to see what was behind door #2. And I really, really like how they painted the garage door. Very pretty all the way around. I agree. It really pops with the dark color and light trim. Fabulous transformation. My girls and I loved this show..they are 40 and 38 now..and their kids have watched all the episodes on Netflix. What a fabulous post! I’ve read it three times already, lingering over each photo to see things you pointed out. Love it love it love it! Thanks! I was always amused that Danny could afford such a huge house. Quite late in the series he turned 30 (!) which means he must have had the girls with his late wife when he was 19 or 20??? And yet he managed to afford a huge house? But I suppose, although they never mentioned it, Joey and Jesse (and later with Rebecca) paid rent to Danny to offset the mortgage and tax bill. Funny what sitcoms never talk about. 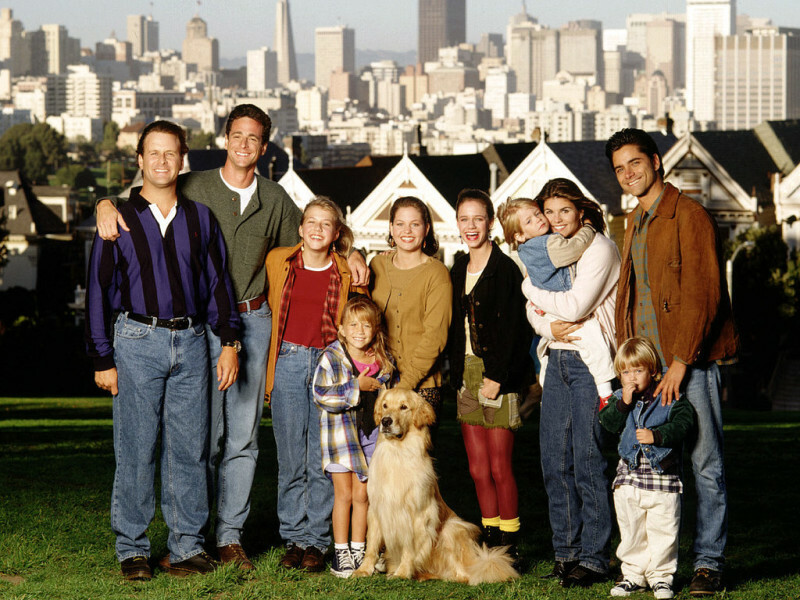 It’s one of my favorite shows so I hope Fuller House doesn’t ruin the original. That’s a good point! Even in the 1980s this house would not have been the typical “starter home” for a young couple. Maybe Danny Tanner got a good insurance settlement from his wife’s death? They never really explain that, do they? 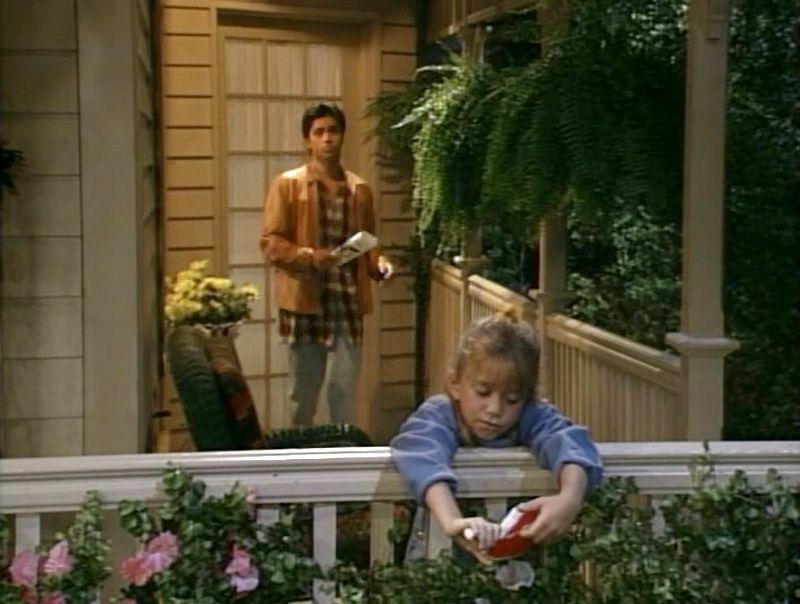 I’m with you on “Fuller House.” Fingers crossed! Love the new paint job. Hate the new front doors. Agreed. I loved the look of the old front doors. These new ones look like some awful 1970’s reproduction nonsense which has no business on a grand old painted lady like this. Overall, though I think the new paint scheme is very eye-catching. I hope that the altered exterior helps the current owners get more of the privacy they desire. I’m a fan the new colour – it looks fresh and invigorated; the old colour looked tired and dirty. I’m in love with the colouring and detail of the front door/s now – wow! The new paint job is a great improvement over the late 1980s version. It really brings out the architecture. I would have used a slightly different shade of green for the front doors but then again I’m not a fan of the more ‘minty’ shades of green paired with purple unless it comes in the form of flower. Bravo! Great job! I’m so confused about that floor plan! There are two sets of stairs from the first floor to the second, but the second floor only shows one. When they climb the steps from the kitchen, where do they go? 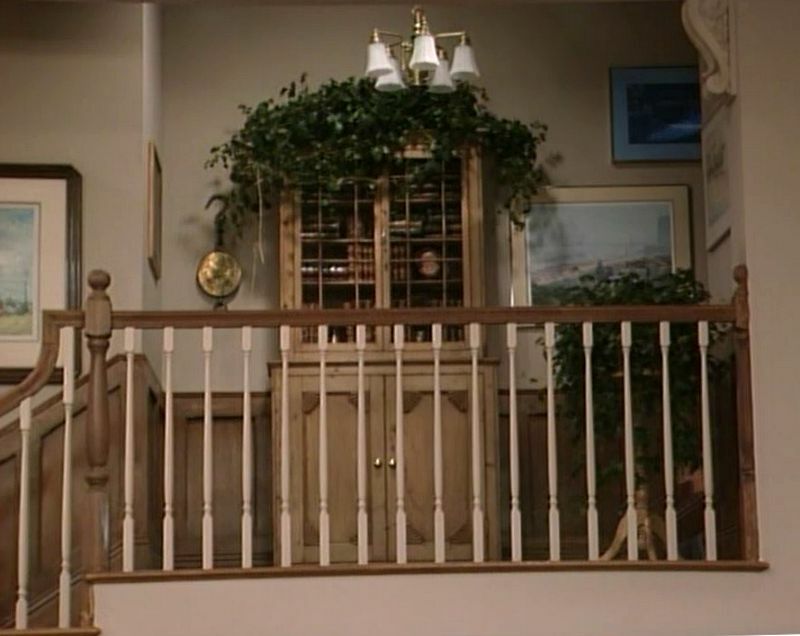 The more I think about it, I suspect that there is a landing that connects both sets of stairs — because I do remember them emerging from the same place regardless of which staircase they ascended. Great post, Julia! I watched the show rather irregularly, and mostly only to see John Stamos, who seemed to look better with every season. 🙂 I was in my 20’s in the 90’s, so I think I just wasn’t in a family show frame of mind at the time. I’ll watch the reunion, for sure. As for the set idiosyncrasies (changes to layout, unrealistic size, etc), I feel that way about most TV shows. It’s total suspension of disbelief. I have a feeling the producers didn’t realize this show would become such a cult classic, and that stills would be pored over and analyzed like this. 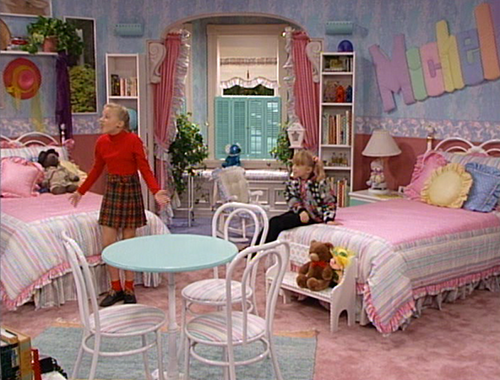 Too bad the Olsen sisters are too busy being fabulous to participate in the reunion of the show that made them famous. 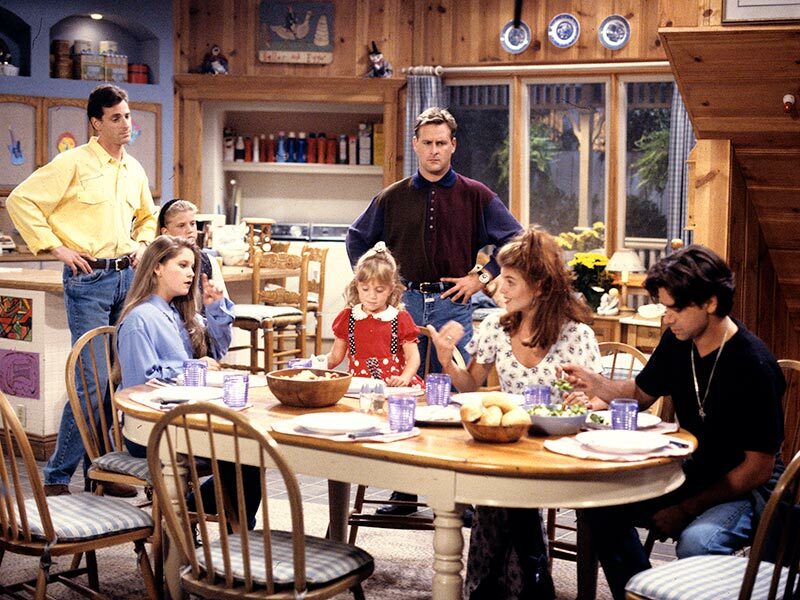 Full House was one of the few shows my parents let us watch…along with the Cosby Show and Dr. Quinn. I never really thought about how big this tiny house was until you pointed it out. Too funny! 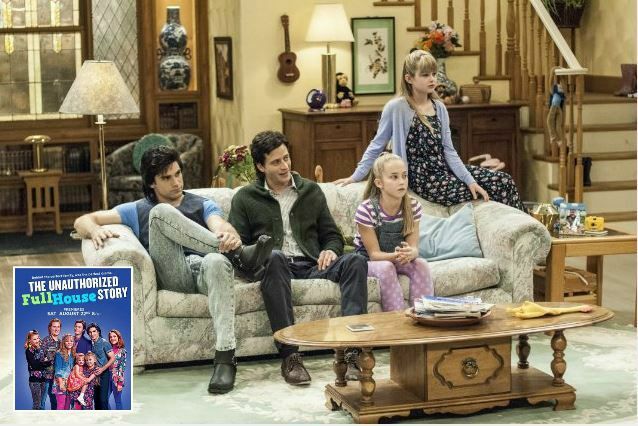 I’m looking forward to Fuller House. I love that they have almost the entire cast coming back. I think that speaks well to the camaraderie of the cast on and off the show. What a fun post! 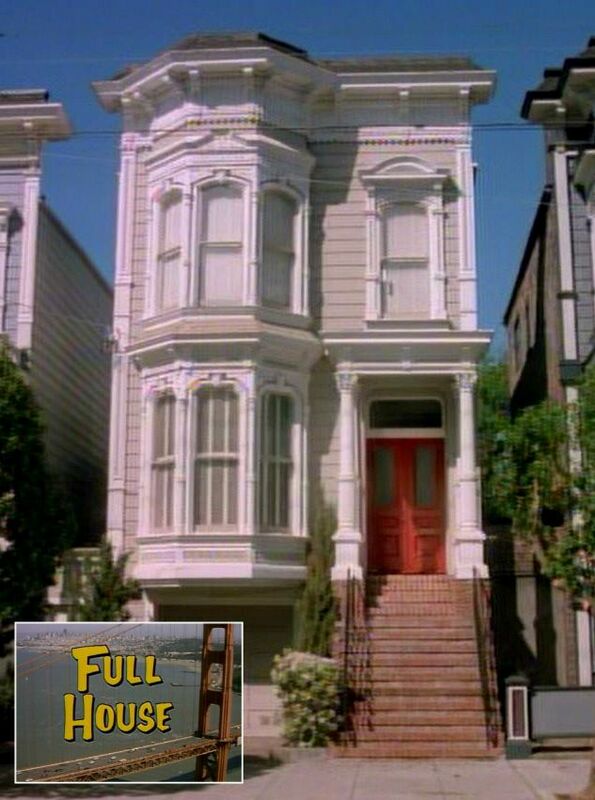 I was a kid when “Full House” was on the air and it’s one of my favorite sitcoms. I’ve seen each episode 5-10 times and it never gets old. 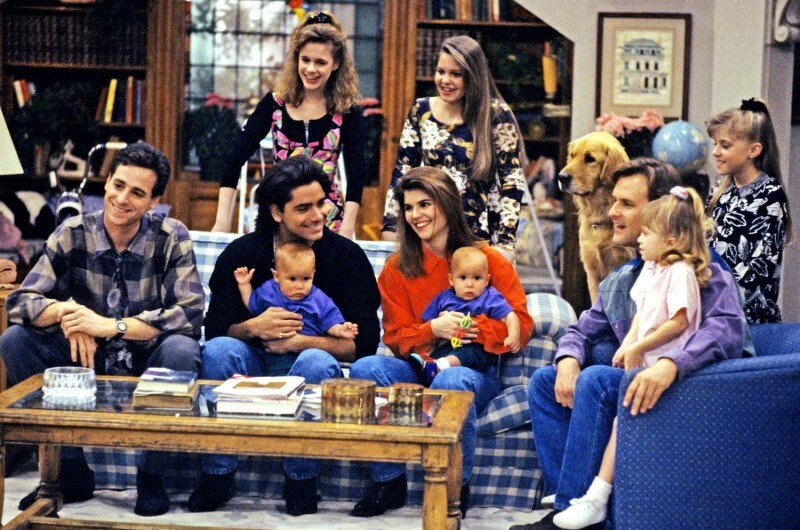 I’m so excited for “Fuller House” to come out. Especially because John Stamos is producing it and most of the original cast is coming back. Plus I’m curious to see what the sets and exterior will look like. The new purple look of the house is much better than the old one. The paint job is amazing! Btw the show was great! 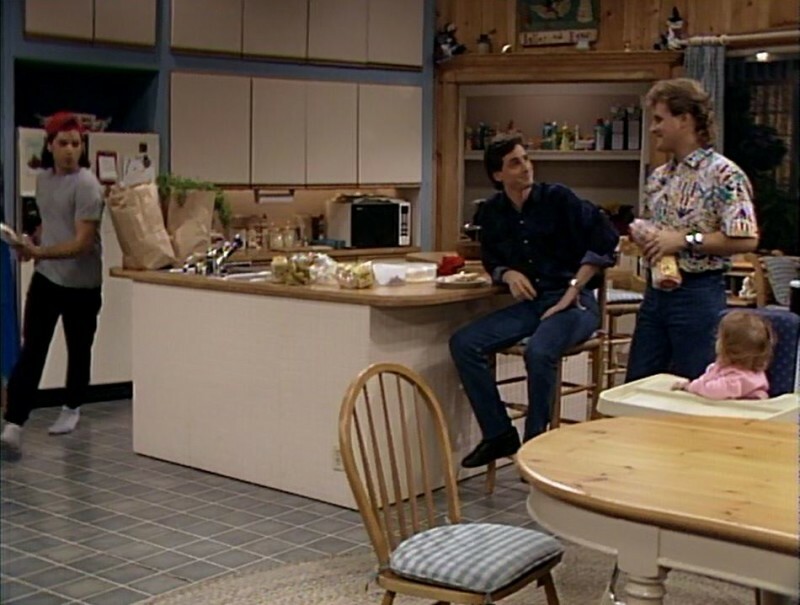 In one episode, Jesse tried to repair the kitchen cabinets (I think he broke one, or something); I think he stuffed up the repair job at first, but in the end he made them better/different, and Danny liked the new ones. 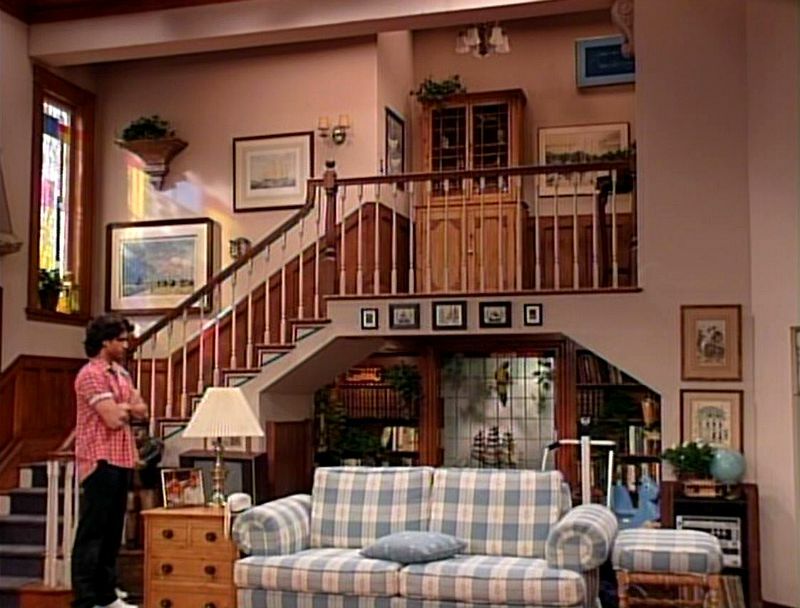 I watched a show that gave a house tour (probably back in the ’90s) where Bob Saget actually said the floor plan was impossible, and that the house would need to be shaped “like a mushroom” to fit all those rooms in upstairs.